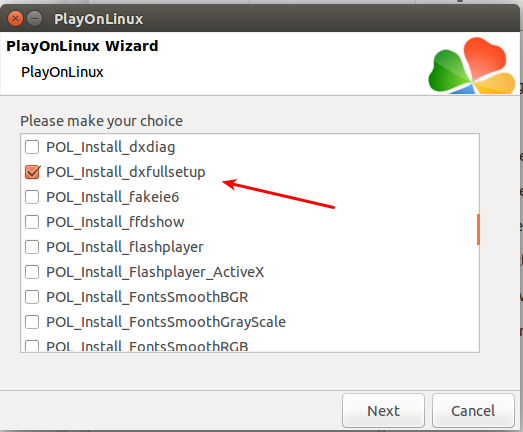 This entry was posted in Linux and tagged Gaming, Star stable. Bookmark the permalink. 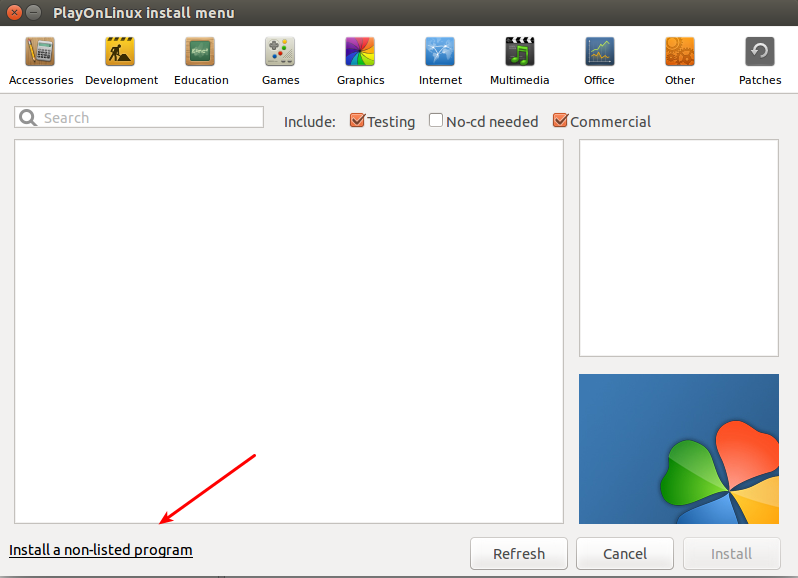 Really useful, thanks a lot, this is really the only info that i could find about star stable and Ubuntu I am new to Ubuntu, I installed the regular Ubuntu and I tried to install Starstable I got problems with finding the right driver for the videocard. Now I am trying it with mint. 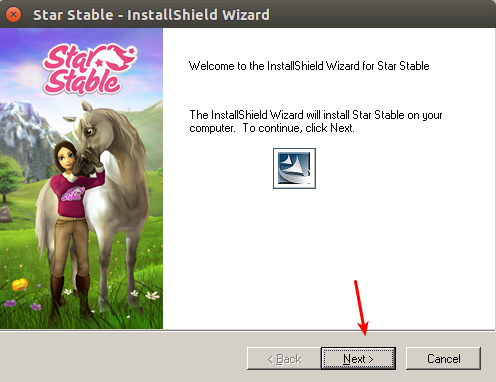 The star stable game got stuck already by loading…Just I like to know if I should select windows Vista since this computer was originally running vista? Hi, I’ve tried this on two computers, both with an Intel video card which typically “just works” on Linux. Do you know what card you have? 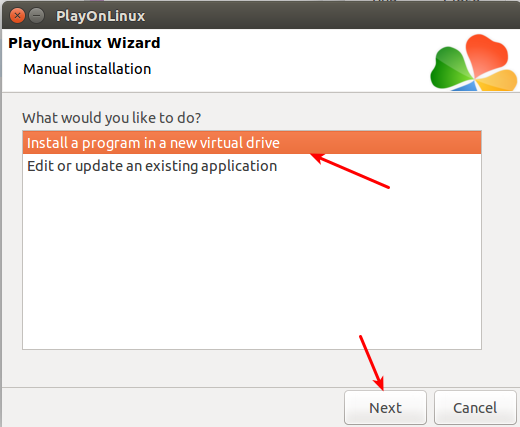 I think you’re better of sticking with one distribution and solve the problem there, Mint and Ubuntu typically use a lot of the same packages and whatever solution that fixes a graphics issue on Ubuntu typically works on Mint as well. I wish you good luck! Hi, thanks for your reply. The card is a Geforce Go 6100. 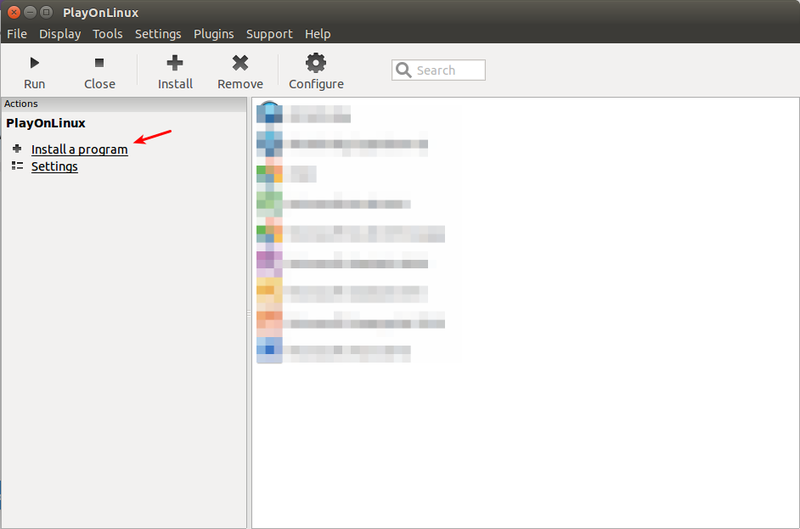 I am using the open source xserver-xorg-video-nouveau driver since the adviced driver is not working properly. I tried your update as well. Loading the game in the pink screen is going normal but as soon the black screen is coming with ¨ logging in” it is stuck and looks like a frozen screen. 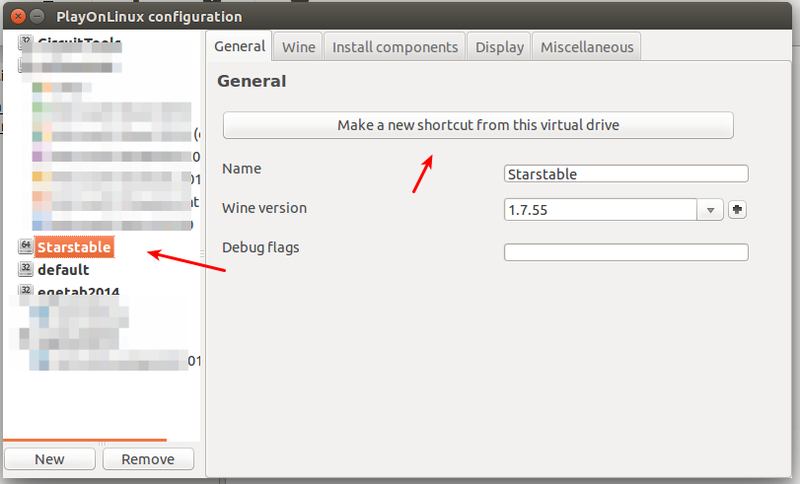 On Debian stretch, Wine 1.8 gave me a “bad .exe format” error when trying to start the installer .exe, but installing wine32 fixed this problem. Thanks for the additional info dabadab! Tried but failed to get the runtime engine to start, PXstudioruntimeMMO.exe can’t contact the game server. The SSO launcher works fine, it contacts the unsecured SSO site, accepts login and downloads updates, but at “Play” when it passes over to the runtime engine it dies. 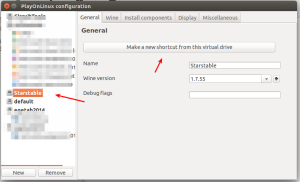 I see in your screenshot that you load the x86 of WINE 1.7.55 but create a 64-bit drive. 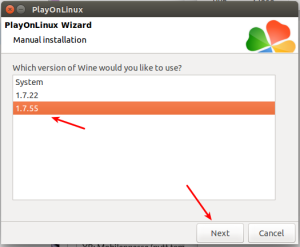 I loaded WINE 1.8 and PlayonLinux shows both x86 and AMD64 versions available. The PC has only the AMD64 distribution of Ubuntu 14.04 running on Intel core-2. See anything wrong so far? BTW my first try I didn’t load DirectX, the launcher ran without it. I did that later but made no difference. 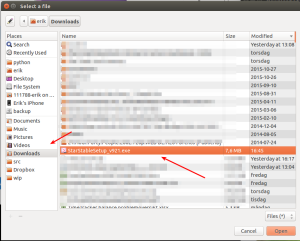 The two extra files in your update were already installed. Looks to me like a security issue contacting the game server, you may have something loaded that I don’t have? Hi Selena, sorry to hear about the limited success. The “can’t contact the game server” rings a bell. 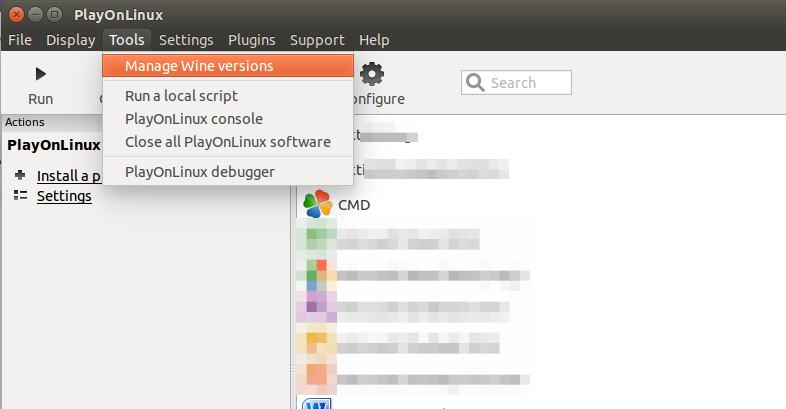 Before trying Play On Linux I had verly limited success using the default version of Wine that came with Ubuntu 15.10. That version has an issue with ssl connections due to a version issue with the underlying ssl packages on Linux. 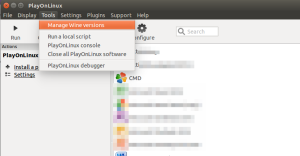 Did you look in the debug log files that Play On Linux creates? Look for messages along the lines of “TLS library not found, SSL connections will fail”. Feel free to post a follow up comment, would be fun to try to crack this one together. I have Wine and PlayOnLinux installed on a Linux Mint 17.3 64-bit desktop. Wine version is 1.9.1. 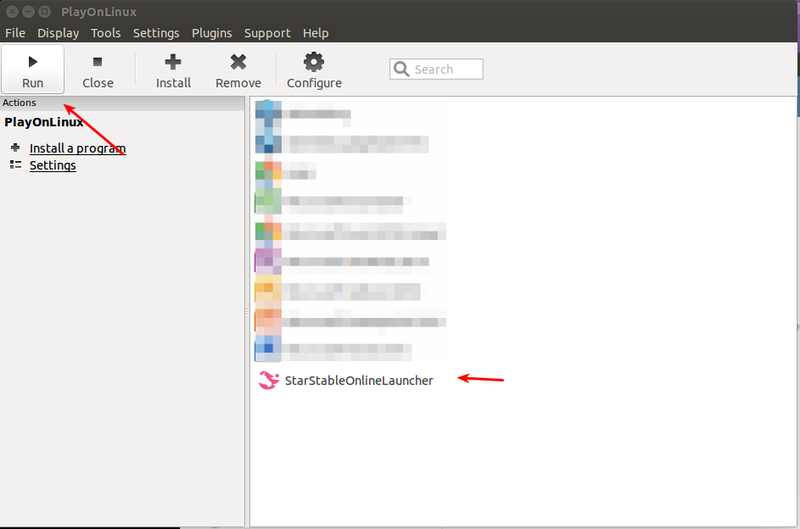 I followed your excellently documented instructions and the game is working, the StarStable launcher is behaving for a change. 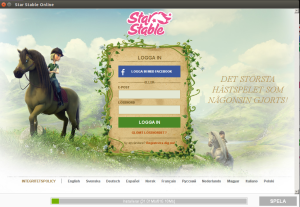 My daughters are very keen StarStable players, but have recently been having problems running the StarStable launcher on a Vista 32-bit OS laptop, sometimes it would work, but mostly not. I tried installing Windows 7, clean install, but the launcher did not work, immediately crashing with no error messages. 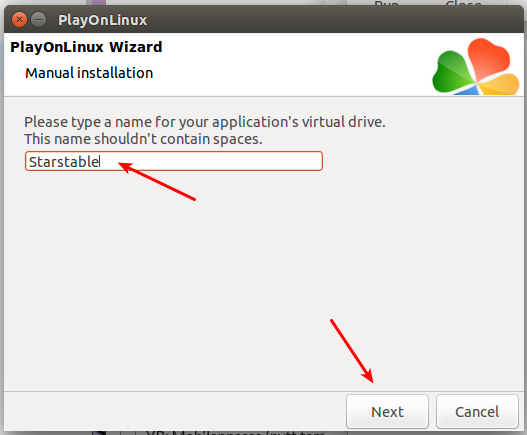 I also installed a Windows 7 virtual machine on my Linux Mint desktop, installed StarStable on this but the game also crashes immediately on launch. 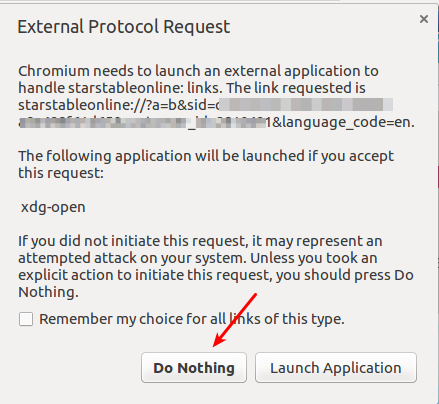 I tried everything, various versions of IE and Firefox, resetting all options, etc, with no success. So having trawled the internet for possible solutions, I found your blog. What a life-saver, once more I have some happy daughters after several months of frustration. Happy to buy you a glass of Wine if you are ever in Warsaw. I’ll gladly have a glass of Wine if I’m ever i Warsaw, thanks for the offer! I’m also happy to hear that my guide provided some real help. Thanks for taking the time to provide feedback and I Hope your daughter enjoys the game! Thank you very much! Now my daughter is happy and I am too ’cause I never have to boot Windows again 🙂 In fact the game runs better on Linux than on my Windows 7 system. Amazing. Thank you for this! Got Starstable up and running! Only thing missing for me is the audio. But for some reason I am also missing audio in my web browsers. Audio is good for everything else. Weirdness. This was very useful! Thank you so much! Erik, I am so excited and extremely grateful to you! 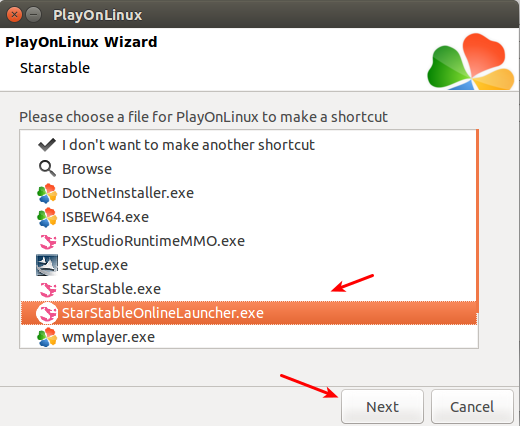 I installed Star Stable already on another laptop under linux with OpenGL 2.1 support before on the way you explained here. It was not working smoothly with a lot of lags. After my post today here I was just thinking about that laptop at once and I wanted to give it a try after months ago that installed Star Stable on that computer. Without any hope actually, but it is AMAZING! It works like a charm, the horse is running like crazy and very good graphics! It is even working better than it ever worked on the computers of my daughters under windows. 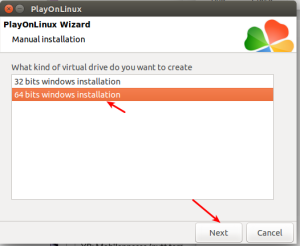 As soon I have time I am going to install Linux mint on the computers of my daughters as well and I hope on the same good result. There is a lot going on the last weeks on Star Stable, so many children are sad and disappointed. So many parents are sad because of their children are sad. On the dutch facebook of Star Stable I read sad stories about children who finally got a life time account after saving their pocket money and now cannot play star stable anymore on their laptops. This might be a solution for a lot of people now. 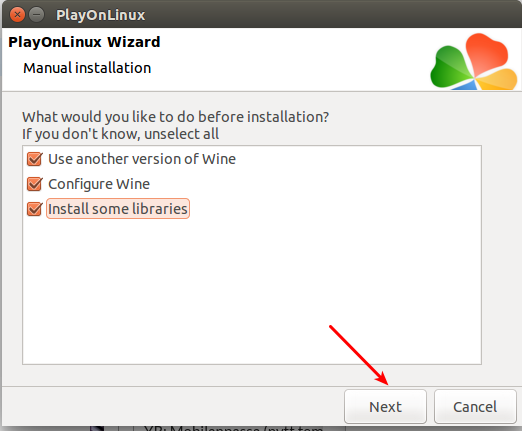 Just instal linux mint on the computer of your child and they might have a better game experience as ever before. On this computer I didn´t had any lag and no network error at all anymore, it is a miracle! Many thanks on behalve of my daughters and hopefully it with will work for all the other children too who can´t play Star Stable anymore. I just don´t know how to spread this message to everybody in other facebook languages but I wish I could tell everybody. I like to see other children happy with this solution too. Erik, you did a very good job. Thanks again! If I understand you correcy, You are now able to keep playing under Linux? 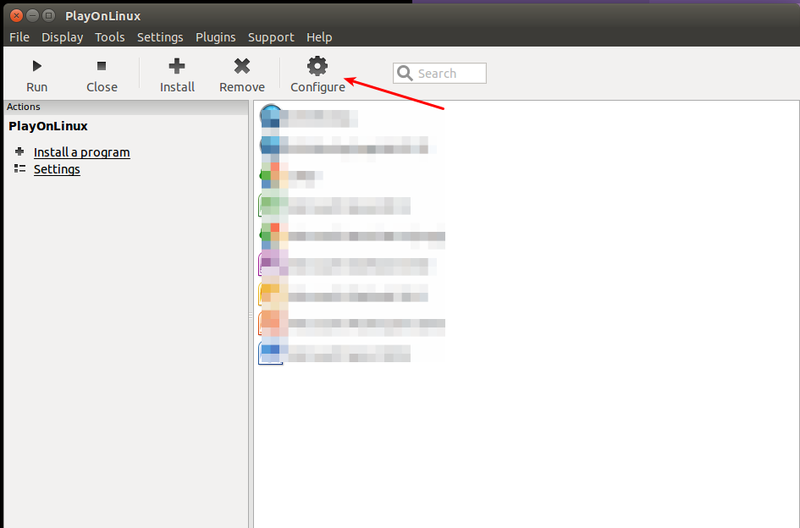 We did run into some issues here with the laptop that is running Ubuntu, but it looks like it’s OK now. My daugter isn’t complaning. Let me know if it’s not working. Many thanks for the contribution Stefan, much appreciated indeed. I’ll try to find the time to update the post and include your findings as soon as possible. 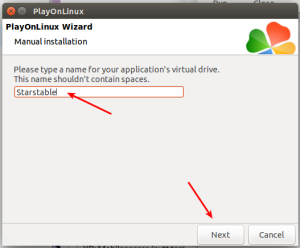 I moved my girlfriend to a linux computer but unfortunately her Star Stable is giving her grief after the move. All previous settings seems lost despite logging in with the same user and password to the game. Any of you know if there is any data that needs to be moved from her old PC? To make the latest installer run I had to install “wsh57”. It’s found under “Install components” with PlayOnLinux or installed using “winetricks -q wsh57” when using Wine directly. 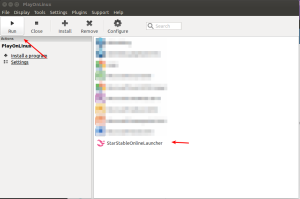 Before installing wsh57, Star Stable Online crashed with a error related to jscript. 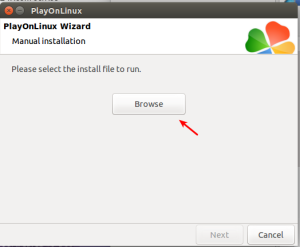 Installation worked fine, and the game starts. But the main gameplay area is mostly black and some white bits… (hard to describe), we can move about normally in the game but almost all colours shown as black, and you see only eg. eyes as white and some object outlines. All other dialogues are working fine (like the map in the bottom right and player/horse status in the top left, also after pressing ESC I can adjust settings, etc.). I have a ATI Radeon built in graphics card on this laptop, tried to use the proprietary driver instead of the open source one. However, then playonlinux complains about 32 bit driver not present, and I cannot start the game at all. The graphics drivers look like a really messy area, so thought I would ask if there are any other ideas out there? Any experiences with ‘black and white’ game? I got the impression that problems were related to 3D acceleration features. Unfortunate drawback of these drivers is that bootup time has slowed, enough to be noticeable anyway. Hi! 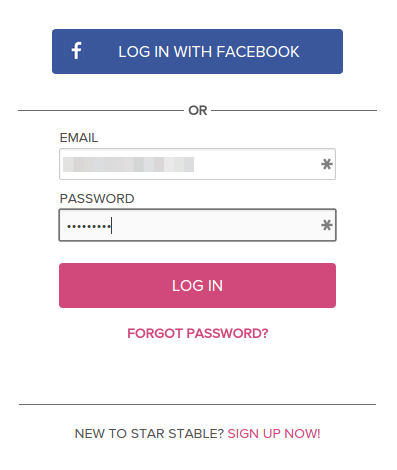 This was so helpful, but now after two months, it won’t open Star Stable. I double click the shortcut, log in and click “play”. And that’s it. It wont open the game. 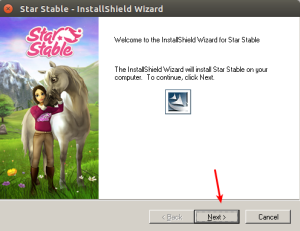 I have twice reloaded Star Stable, but it still won’t work. What should I do? This was helpful but when star Stable is open i cant move in the game or click anything. What do i do? On the linux computer of my daughters, star stable suddenly stops working after the updates. 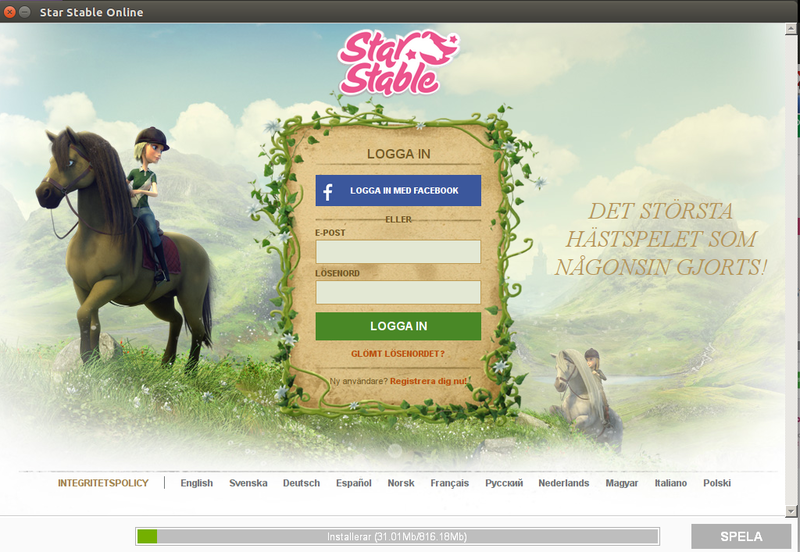 Hi, I followed your tips and Starstable works well, but there is a big annoying problem : the texts of the game are invisible or weird written and when I want to buy a horse the game crashes and says “network error”…I already deleted all the files and install the game a second time but the bug is still here…If you can help me it’ cool. PS: Sorry for my english, I’m french. I used your instructions and other contributions and the game works fine, but the databases appear not to load. For example; my daughter does not see quests but database names and no text. Any ideas? 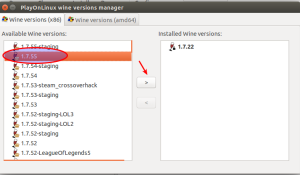 I reinstalled several times, using different Wine versions, but still the same issues. 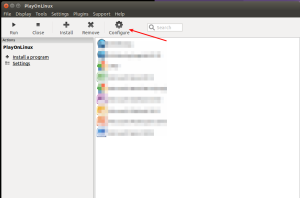 I use Ubuntu 17.04. 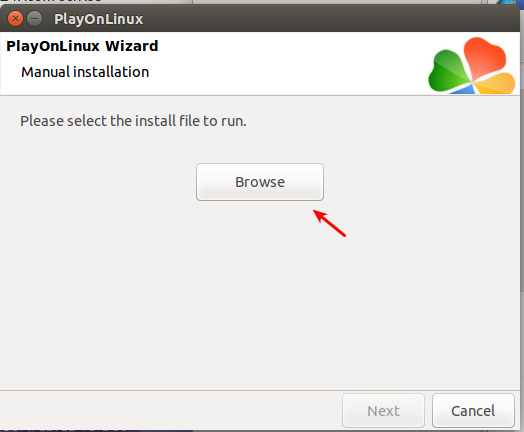 I have since rebuilt a linux box and am trying to install again… this time I am seeing an issue connecting with the servers to start the game. 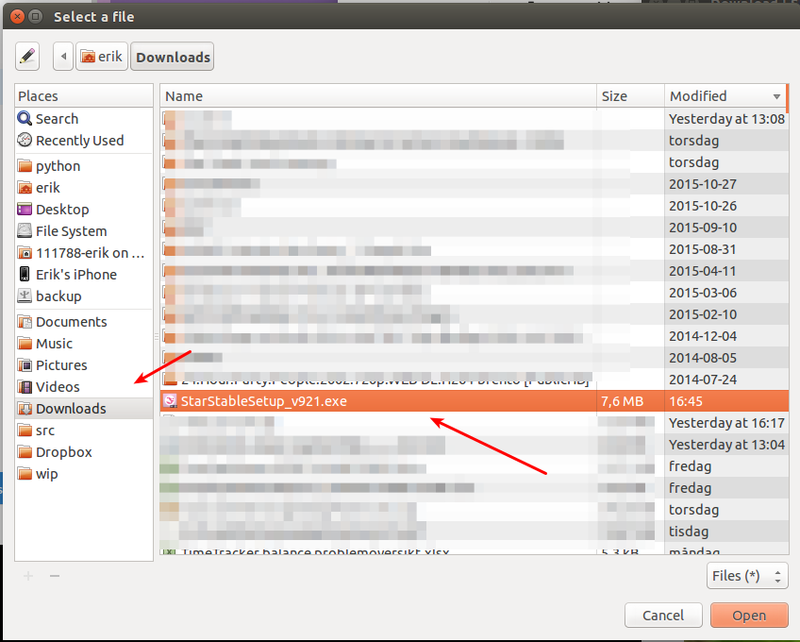 Files all downloaded fine, but when I start launcher it just keeps trying to log me in, in a loop. On reboot it started working. But the highest resolution the game sees is 1080P but I have a 1440P monitor… will have to play around. 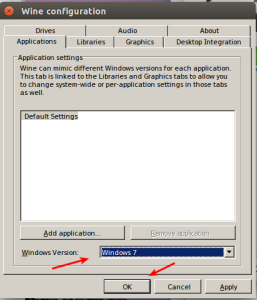 Just a suggestion: Nowadays you can’t download the install file anymore if you are not on a windows computer: Just download it on any windows computer and transfer it with an usb stick to the linux computer.